North Carolinians can get facts on voting and meet candidates on their ballot with the 2018 NC Voter Guide, a free public service from the nonpartisan Common Cause NC, available online at NCVoterGuide.org. The 2018 NC Voter Guide includes congressional, legislative and judicial candidate profiles, along with information on local races in all 100 North Carolina counties. The guide also provides quick links to polling places and early voting sites, as well as facts on voting. Early voting runs Oct. 17 through Nov. 3 across North Carolina. During that period, voters can cast a ballot at any early voting location in their county. Residents who are not yet registered to vote can do so at early voting locations in their county by using same-day voter registration. Election Day is Tuesday, Nov. 6. 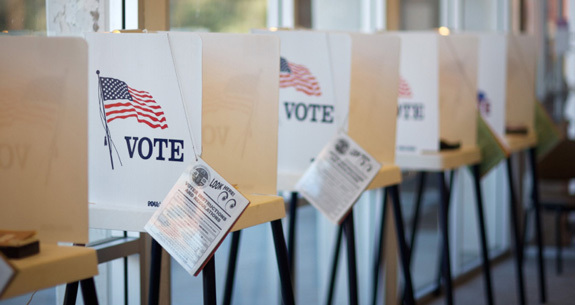 Polls will be open that day from 6:30 a.m. – 7:30 p.m.